Johnson’s Transmission & Auto Service is a family-owned auto repair facility offering quality automotive services at reasonable prices. We strive to fix any type of vehicle—foreign or domestic, gas or diesel—to our customers’ specifications and satisfaction, and while we’re a small auto repair shop located in the country, we have a wide selection of modern tools and technology to repair vehicles accurately. We also have access to auto repair hotlines where experts supply us with details to make necessary repairs. With the goal of meeting all our customers’ needs, we provide towing services and auto body work, too. Our technicians are ASE-certified and ASE Master-certified. Jerry Johnson opened Johnson’s Transmission & Auto Service in April 1993 after a series of life events that led him to a career in auto repair. When he was a child, he and his brother received one bicycle to share for Christmas, so it was ridden a lot (to say the least). They wore out every moving part on that bicycle and replaced several sets of crank bearings and rear ends. They even had to replace the fork bearings a couple times, along with putting boots inside the tires where they dragged them on the highway until they had holes in them. At the age of 15, a friend of Jerry’s had a 1962 Ford Falcon, which they had to work on to be able to drive it around. He enjoyed working on vehicles so much he took Auto Tech for two years in high school, where he rebuilt engines and worked with different cams, carbs, front ends, and transmissions. Jerry also learned a lot working on his friend’s 1967 Chevy-powered Firebird. After high school, Jerry went to Wayne Community College for two years, studying Auto and Diesel Technology. His goal was to work on farm equipment, but when he finished school, he got a job at Auburn Pontiac in Raleigh—an adventure for Jerry. In 1977, a friend offered him a job in Goldsboro (happily closer to home) working on Mazdas and Volkswagens. He worked there for a while before taking up farming again and then going to work at Plainview Auto and Truck Center, which was followed by an independent auto repair shop specializing in European cars, Honda in Goldsboro, Ford Place in Smithfield (where he worked one day and got a raise for his go-and-get-it attitude), and Benson Ford where he rebuilt automatic transmissions. 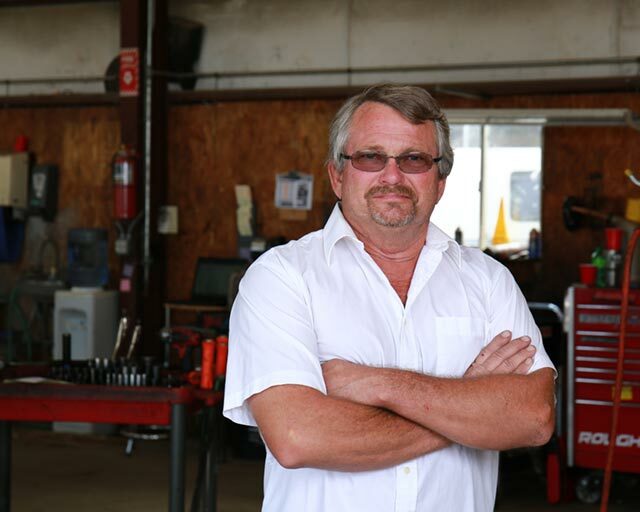 All Jerry’s automotive experience gave him the confidence to build an auto repair shop of his own. Only two years after establishing Johnson’s Transmission & Auto Service, he was able to add a transmission room and another bay. Then, in 2003, he built an entirely new auto repair shop with five more bays, making eight bays total. Today, the shop also has a paint and body shop, as well as 10 full-time employees (including Jerry’s son, Jesse) and three part-time employees. Never one to rest on his laurels, Jerry even started a car lot in 2004 to stay busy during the slow times. 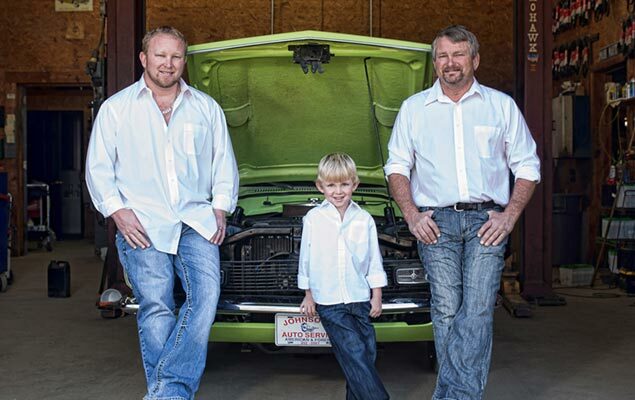 There’s always something going on at Johnson’s Transmission & Auto Service, from new additions to our family to new professional certifications! Come in and get to know us or learn more here.